Did you know that Memorial Day is this weekend? Because it is. Therefore, you should be eating watermelon and busting out the grill and jumping into a pool at some point.... THAT'S CALLED TRADITION. Of course, if you want to be a little more cute and decorative, we're happy to help with this massive party pack of free party printables! *UPDATE* There were some problems with the download so it has been split into THREE parts. Make sure you download each one! 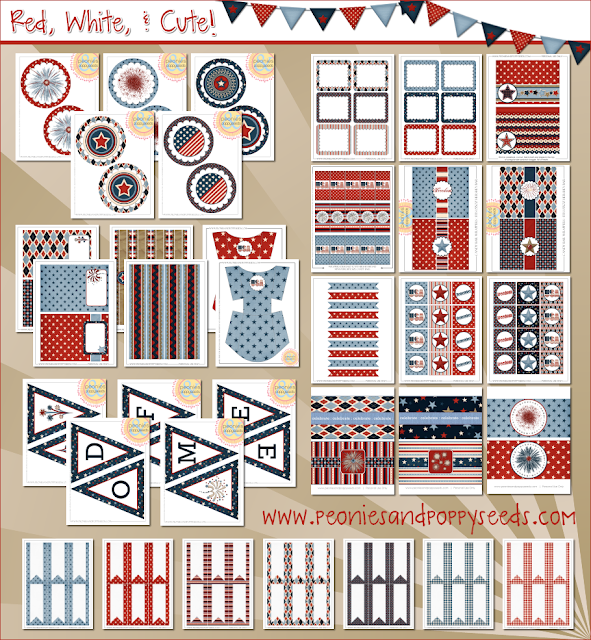 Printables are free for private, personal, printed use only. Absolutely no redistribution allowed, or we'll hit you with our virtual fists of fury.